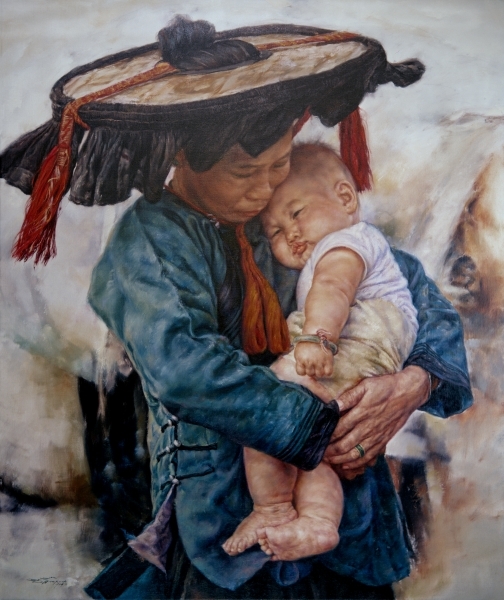 Description: Tender loving care allows the infant fall sound asleep in the mother's arms. His plump little arm limp at his side as he rests, safe and sound in mothers arms. The woman's a traditional hat provides shade from the sun for her and her child and the decorations around the hat also them as she walks.